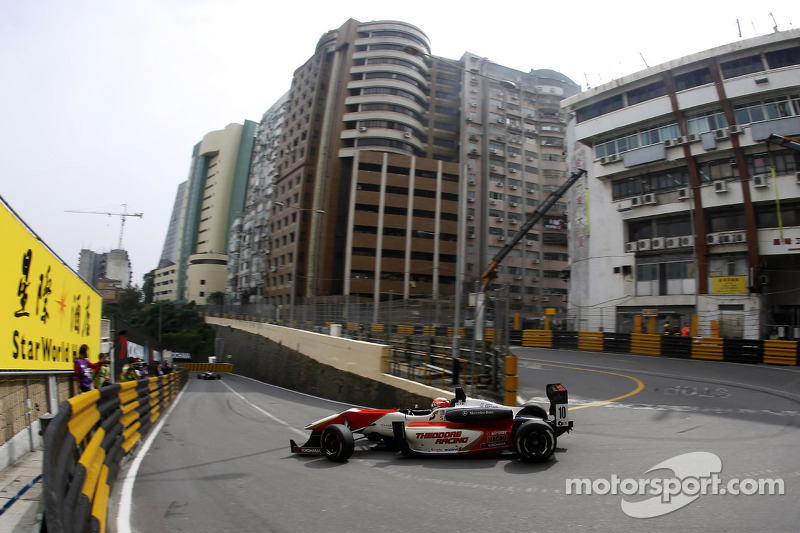 After a stunning drive Alex Lynn took his first step towards ultimate victory by winning the qualifying race for the Macau Grand Prix from Felix Rosenqvist and Raffaele Marciello. After a very messy start, Alex Lynn (Theodore Racing by Prema) came home to win today’s Macau race, guaranteeing that he will start Sunday’s Grand Prix from pole position. 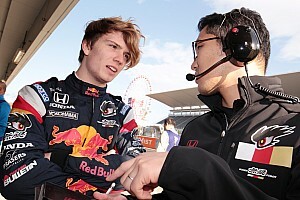 He was chased home by Felix Rosenqvist (GR Asia with Mücke) and pole sitter Raffaele Marciello (D88.com Prema Powerteam). Meanwhile, there was chaos on the grid as Tom Blomqvist (Fortec Motorsport) stalled and was hit by a late-starting Harry Tincknell (Carlin). With the two cars tangled and causing an obstruction on one side of the start/finish area there was nothing to be done apart from send out the Safety Car and slow everything down, especially with Dennis van de Laar (kfz-teile24 Mücke Motorsport) also stalled. The Safety Car allowed the marshals to work frantically to separate and clear the wreckage, while the pack went slowly through the pit lane and round for another lap. 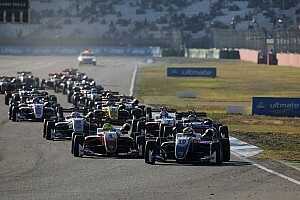 Rosenqvist was forced to watch as his lead vanished, while Lynn settled in to 2nd, from Lucas Auer (Theodore Racing by Prema), Antonio Felix da Costa (Carlin), Marciello, Luis Felipe “Pipo” Derani (Fortec Motorsport), Jordan King (Carlin), Alexander Sims (ThreeBond with T-Sport), William Buller (Fortec Motorsport) and Stefano Coletti (EuroInternational). Esteban Ocon (Prema Powerteam) was in 11th, from Kevin Korjus (Galaxy Double R Racing), Carlos Sainz Jr (Carlin), Jazeman Jaafar (Carlin), Lucas Wolf (URD Rennsport), Nicholas Latifi (Carlin), Yuhai Sekiguchi (kfz-teile24 Mücke Motorsport), Antonio Giovinazzi (Double R Racing), Sean Gelalel (Double R Racing) and Katsumasa Chiyo (B-Max Engineering). Down in 21st Sun Zheng (Galaxy Double R Racing) was followed by Yuichi Nakayama (TOM’s), Nelson Mason (Jo Zeller Racing), John Bryant-Meisner (Fortec Motorsport) and Ed Jones (Fortec Motorsport). It took two laps to get clear and at the restart it was Rosenqvist who found himself having to defend from Lynn, the Swede’s tyres having lost some traction as he held position behind the Safety Car. At Lisboa Lynn paid him back for that first lap move and the Englishman was through and into the lead. Felix da Costa and Marciello both got the drop on Auer (at Mandarin and Lisboa respectively) to move up a place each only for the Austrian to end up in the barriers at Sao Francisco, giving Sims a bit of a scare in the process. Sims was a man on a mission after that (if he hadn’t been before) setting off after King with intent to demote him from 6th if at all possible. 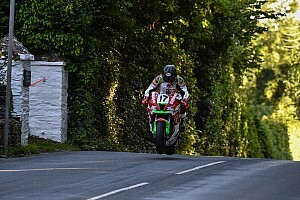 Meanwhile, Jones appeared to have fallen victim to the less than desirably sticky tyres combined with the bump in the road that gets you if you go offline at Fisherman’s Bend and his race was over, the car parked up against the wall. That led to a brief period of yellow flags in Sector 3, but he was soon removed from harm’s way. Lynn continued to lead from Rosenqvist, while da Costa was battling Marciello for 3rd. Derani was a comfortable 5th from King, who was not all comfortable with Sims breathing down his neck, while Coletti, Buller and Ocon were running in close formation just behind the battle for 6th. Drive through for 30. 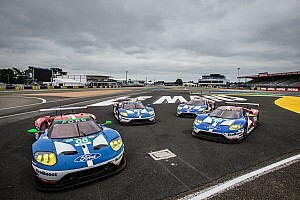 It didn’t take Sims long to find a way past King for the place and he then set off in pursuit of Derani, needing to make up for a frustrating qualifying session that saw him struggle to set a competitive time in the faster of the two sessions. Further back, Buller nipped past Coletti, while and Sainz Jr claimed 11th by passing Korjus, the Estonian seeming oddly off the pace for reasons that would become clear only in the closing stages of the race. Sims was pressing on and set a new fastest lap of the race, but he wasn’t the only one setting a fierce pace. Marciello passed Felix da Costa to claim 4th at the halfway mark and then began to catch Rosenqvist hand over fist, towing Felix da Costa with him. The Italian’s pace was good, which made you wonder what might have happened if he’d actually got off the line effectively. He set a new fastest lap as he began to loom ever larger in Rosenqvist’s mirrors and the Swede was now having to worry about what was happening behind him rather than in front. Sainz Jr had now moved into the top ten at the expense of Ocon, the rookie unable to resist the more experienced Spaniard, and behind them Jaafar was up to 12th a lap later, passing Korjus who was struggling more and more as the race wore on. He was not the only one in trouble. 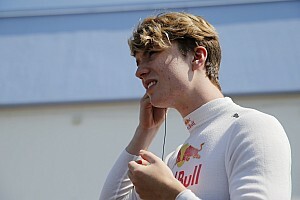 Canadian rookie, Mason, had been awarded a drive-through penalty early on after his team, Jo Zeller Racing, started the engine of his car while it was stopped in the fast lane of the pits. He then proceeded to continue on instead of serving the penalty and was consequently black-flagged. Meanwhile, up ahead, Lynn was working hard to maintain the gap to Rosenqvist, while the Swede was having to concentrate on not letting Marciello get too close, especially as Felix da Costa and Derani were right there just waiting for the smallest of mistakes from either of the guys ahead. Sims was hanging onto 6th now, with King and Buller very close, and Sainz Jr had now taken 9th from Coletti. There was an interesting little tussle playing out further back too, where Double R Racings Giovinazzi and Gelael were battling for 17th, the Italian getting ahead one lap only to have the Indonesian come back at him a lap later. That only stopped when Giovinazzi found a way past Wolf to claim 16th in the closing stages of the race. For the last couple of laps everything seemed to calm down, almost as if the realization that they needed to survive to compete in tomorrow’s Grand Prix, and it suddenly became a bit pedestrian, at least in the top ten, although Ocon did managed to pass Coletti to reclaim 10th with two laps to go but although both 2nd and 6th were close, nothing changed in the last two laps apart from the disappearance of Korjus, who parked up at Fisherman’s in a cloud of smoke that boded badly for the engine. Marciello knew his start was what had cost him. “I got a really bad start and lost four places. I overtook Lucas after the Safety Car and then Felix da Costa and the car was really good then. I think we can do a good race tomorrow. We’re OK for the race.” The fastest lap was set by Rosenqvist in a time of 2:12.312.